General tyres are very well known for their excellent 4×4 tyre range. 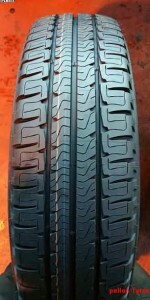 However nor many people know that they manufacture a full range of summer and winter tyres, for regular cars. All the general tyres are made by their owners, Continental tyres. The tyres are manufactured by Continental, alongside their world winning tyres. The General tyres use the same casing as the ones used to make Continental tyres. They are the exact same quality and will the driver the same excellent performance that we expect from their Continental parents. We are now proud to announce that we here at Pellon Tyres in Halifax, Yorkshire UK have become the General tyre dealer for the Halifax area. We would also like to congratulate General Tyres 100 Years of been in business. The regular tyre that we will be offering the Halifax public will be the Altimax Comfort for the regular tyre for summer use and delivers high performance and long service life. The Altimax has a new asymmetric tread, and features the unique Replacement Tyre Monitor and Visual Alignment Indicator designed to indicate tyre wear and provide advice for timely replacement (the legal limit). This is a great development in General Tyres 100 Years car tyre history. General tyres also make the Altimax Comfort tyre. ; the Altimax Comfort car tyre ensures a safe grip on wet and dry roads. 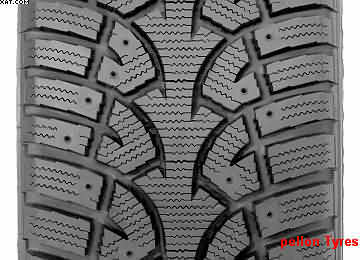 The non-directional tread also has great attributes, with its durability and great comfort. The next tyres to come along in the General Tyres 100 Years history, is the Altimax Sport. This tyre guarantees the driver a precise steering experience and safe driving in all challenging conditions. A new, asymmetric tread pattern design with an innovative and up to date silica compound provides the driver with exceptional wet grip and opportunity for high mileage. precisely aligned to the winter road conditions, here in Europe and has been optimally combined to create the Altimax Winter plus. Wide longitudinal and lateral grooves reduce the risk of aquaplaning in bad wet weather and provide superb traction. 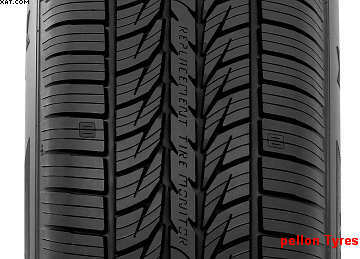 Therefore, this winter tyre with its special compound guarantees high mileage, which is a great plus for a winter tyre. An all-round success and excellent choice for anyone who wants to safely survive the winter in their car! Finally, we at Pellon Tyres will be stocking the excellent Eurovan 2 tyre . Which achieves high mileage and powerful traction when shifting those heavy loads. General Tyres 100 Years’ experience have helped develop new tread structure. Consequently, which help enhance brake performance and handling on dry roads and in curves. Because, this is very important for van drivers on today’s busy roads here in the UK. . Staggered opposing tread grooves in the shoulder reduce noise and heighten ride comfort. Because of this the flat tyre contour ensures even wear and lengthens the tyre’s life. Motorhome tyres from Michelin-Massive motorhome fit new tyres-sad ending? disappointed with the low mileage that he had achieved. The guy told us that his father always fitted Motorhome tyres from Michelin. His father had two front Motorhome tyres from Michelin fitted about two months ago and was highly delighted with their performance. Excellent, Motorhome tyres from Michelin are specially designed specifically for vans and motorhomes; these are the exact tyres for the job. They are called the “Michelin Agilis” and are the ones to fit to achieve a better mileage and carrying capacity. Especially relevant, they are closely related to van tyres are built with extra performance in terms of load capacity and sidewall kerb wear. You would be surprised if you saw the campervan owners who fit normal car tyres to their vehicle. Because, the correct tyre choice of campervan tyres can lead to reduced fuel consumption due to reduced rolling resistance, because of their ability to carry all the extra weight that a motorhome may carry. Because there is no doubt that this customer has made the correct choice of tyre for his motorhome. Finally, to end on a sad note the guy told me that his father did a six week drive to Spain and sadly past away. He now has to go to Spain and drive his father’s vehicle back home, to sell it. https://www.pellonautocentre.com/wp-content/uploads/2015/06/Logo_PellonCleanTrans.png 0 0 Eric https://www.pellonautocentre.com/wp-content/uploads/2015/06/Logo_PellonCleanTrans.png Eric2018-07-31 05:19:412019-01-02 10:05:43Motorhome tyres from Michelin-Massive motorhome fit new tyres-sad ending? Goodyear online;Could it spread to Europe? its retail tyre market. In other words if you want to buy say a Firestone tyre then you would go to a Firestone outlet. This outlet would only sell the Firestone products. This system has never caught on here in the UK. Tyre retail outlets, like my own here in Halifax, Yorkshire, UK have always sold multi brands. The UK system in my opinion is best way of offering the consumer a bigger and better choice of tyre brands. The national retail outlets have always pushed their own products, but have never come close to the USA franchise way of running a tyre retail outlet. I think though that things may be changing and it is no thanks to the internet? Goodyear Online has recently introduced an online platform, where you can buy Goodyear tyres online. This is in the USA and covers the whole country. The tyres will be fitted at more than 4000 outlets, including the Goodyear franchises 600 tyre fitting stations. Although this does not apply in the UK, I believe that it may set a precedent for the future of the tyre industry. We all know about the recent buy outs of online tyre retailers across Europe? So is this the start of a similar thing? Michelin and Apollo tyres have both bought online tyre companies and I wonder how long it will be before they start marketing their own products online. At the moment they sell multi brands of tyres, but will it change to a Goodyear Online type of situation, where Michelin sell only Michelin tyres and have them fitted across their ATS network of tyre retail branches. Because of the Goodyear Online move, may be just the start of things to come? Where it leaves anyone else that sells tyres, I do not know. Consequently, I could be completely wrong, but with all these moves from the tyre manufactures, then something is in the air. Watch out for Bridgestone tyres and their next move? Ford Focus Duel Mass Flywheel – Driver heard a noise when clutch pedal pressed? Ford Focus Duel Mass Flywheel, clicking noise? The driver of this Ford Focus presented his car to us. He explained that he could notice a slight change of noise in the sound of the engine followed by a sort of ticking noise? When asked when the noise occurred he said that it was when started to press the clutch down, to about halfway. Then after the halfway point the noise clears up? The same happens when the clutch is released. When the car engine is idling, or when you are just driving along, then there is no noise. Then when your foot is off the clutch (either in neutral or driving in gear) there is no noise. He said that he noticed for the first time, about a month ago. Ryan my service manager thought straight away that the problems pointed to the clutch and perhaps the Ford Focus Duel Mass Flywheel. The Ford Focus Duel Mass Flywheel is made of many small components and clicking or ticking sounds, point towards the DMF (duel mass flywheel). The sound was only slight and the noise was covered by the car radio. At first we recommended that the guy should leave well alone and to see if anything else would develop. He agreed with us and went on his way. We never saw the car again until a month later? This time the noise became a little louder. Ryan still suspected the Ford Focus Duel Mass Flywheel as being the problem. We took the car in and split the gearbox from the Focus engine to inspect the DMF and clutch. The clutch release bearing and slave cylinder were examined and found to be OK.
1) If you have a slipping clutch; if the cars revs become higher but cars speed does not increase, or it feels like you are riding the clutch when driving along or changing gear. Or sometimes you can smell the pungent smell of the overheated burning clutch. 2) Strange unfamiliar metallic noises (sounds like a rattling chain or bag of knife and forks being shook about). This noise will stop when the clutch is depressed then return of release. 3) If your dual mass flywheel has been wearing for a while then your starter motor may start to slip/spin, when you are starting the car. The driver with the Ford Focus Duel Mass Flywheel problems came to us in good time. The DMF had started to break up and was replaced, along with a new clutch plate. So if you do hear these noises take it along to your local garage to be examined. https://www.pellonautocentre.com/wp-content/uploads/2015/06/Logo_PellonCleanTrans.png 0 0 Eric https://www.pellonautocentre.com/wp-content/uploads/2015/06/Logo_PellonCleanTrans.png Eric2018-07-30 05:19:572019-01-01 09:30:01Ford Focus Duel Mass Flywheel - Driver heard a noise when clutch pedal pressed? I love working on a Saturday morning in my tyre depot work shop. I do not fit tyres anymore because I have lost touch with all the new tyre sizes. Believe it or not the wheels are becoming too heavy for me to lift. It is a young man’s job and I am afraid that I have to stick to computers these days. However I do enjoy my Saturday in the workshop. I always keep my camera or one of my staff use their mobile phones. This is just in case we see anything interesting or even nice looking. Last Saturday was no exception. We had a few good jobs in. One of them was a really well kept Range Rover finished in white. It was great looking car. 22 inch wheels and decided on using 285-35R22 General Grabber UHP. This was a good choice as readers of mine would know that most SUV vehicles are useless when driving on ice and snow? Winter tyres are required for safer winter driving. The 285-35R22 General Grabber UHP is said to be the star of the General Grabber family and has been engineered for fast and strong-horsepower SUV/4×4 vehicles, just like the Range Rover. With rim sizes up to 24 inches and at speeds of up to 270 km/h, these 285-35R22 General Grabber UHP not only looks good, it also provides a top performance in its group! With its highly developed tread and the very good quality, this 285-35R22 General Grabber UHP tyre offers safe handling in on- and light off-road terrain, making the tyre a good winter choice. The 285-35R22 General Grabber UHP, guarantee, for a safe performance. The new 285-35R22 General Grabber UHP tread pattern is characterised by steep, extended grooves from shoulder to centre and sipes, with sturdy tread lugs. The design of the 285-35R22 General Grabber UHP is combined with advanced silica tread compounds for flexibility in cold weather below 7 degrees, and a reinforced construction, makes the UHP tyre comfortable, durable and extremely safe in both wet and dry conditions. I have been writing my tyre articles now for about five years. In that time I have used many different terms. Therefore, we use these terms as every day part of our tyre language. It has never entered my head, that my readers may not know what these terms actually mean or stand for. Tyre Knowledge is what every diver should be familiar with. However, i do think that as long as the car owner knows about the basics, such as the correct tyre pressures and checking them at least every two weeks, should be enough. However I will explain what some of the terms are that I use in my articles. This is tyre knowledge in simple terms. The 205 is the width of the tyre in millimetres. A tyre marked 205 will measure 205mm across the tread from sidewall to sidewall. Aspect ratio is the 55 part of the tyre size and is the ratio of a tyre’s section height (H) to its section width (W). Because, this aspect ratio of 55 means that the profile height of the tyre is 55% of its width. 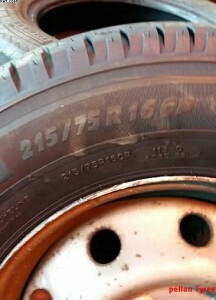 Then the 16 is the tyre rim size that the tyre will fit. So in this case the tyre marked 16 will fit on a 16-inch wheel rim. This is measured in inches. The 91 part of the number following the tyre size, which is the load index is the maximum load-carrying capacity of a tyre under a specific condition. The V is the speed capabilities of the tyre, this can be found on a tyre manufacturer’s chart; the V means that this tyre can safely do 149kh. legal limit that your tyres must not drop below; if it is down to this mark then you should change your tyre. Wheel balancing, is a procedure that we carry out to ensure that you wheel is not out of balance and your steering wheel does not shake when driving. Out of balance can be caused by a number of things. Reinforced tyre is one with a strengthened sidewall and is used on heavier vehicles and vans. The tyre is marked with a “RF” on the sidewall. 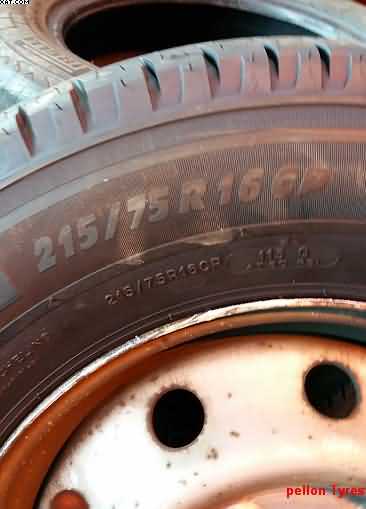 Car tyres can be marked with an “XL” which means “extra load”. Wheel alignment, is when we check and adjust the vehicles steering geometry. Tyre rotation is when we change the tyres from corner to corner to even out the wear. There is no doubt about the fact. That there has been a massive increase in the amount of SUV and crossover vehicles on our roads.In recent times. Almost every car manufacturer makes this type of vehicle. Some like BMW make several types, from small to large. This in my opinion is the type of vehicle that requires new winter tyres fitting, in November. Because many of these cars are (or can me) all-wheel drive. Then the customers think that they can be safe when used in snow or icy conditions. This is incorrect?. Most of these vehicles come out on summer tyres as original equipment. Fortunately people are realising this and are starting go down the winter tyre road. Such vehicles are what are known as the “high end “part of the car market. These are the cars that are fitted out with large wheels and tyre sizes. They have got a big footprint, which is ok in dry summer weather but just the opposite in winter. You can ask any BMW SUV owner about driving their car in the snow and they will tell you how useless they are on normal tyres. Enter the Pirelli Scorpion Winter tyres. This tyre along with other tyres in the Pirelli winter range is designed to improve downhill braking and cornering when driving in winter conditions such as ice and snow. 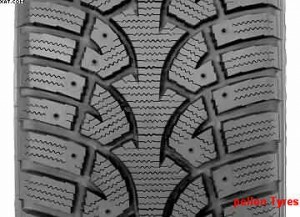 The Pirelli Scorpion Winter also dissipates water from flooded roads due to heavy rain, by incorporating circumferential grooves, combined with Directional & symmetric tread pattern design with modular block geometry and sipe layout. Because, the tyre tread is made of a new tyre compound with innovative materials. Increasing grip, excellent handling and traction on snow and ice. Therefore, if you are thinking about buying these tyres then I recommend that you start looking in October. Consequently, as these are limited due to the low production amount and popularity from the larger models of the SUV owners. This is probably one of the reasons that we clean a customer’s car after it has been serviced. I happen to live about fifteen miles away from my garage in Halifax Yorkshire UK. I very often have to take my friends and neighbours cars in to have them serviced. When I take their cars home, it is surprising how much better the car drives. I am convinced that part of the reason is because we wash and clean the customer’s car, when we have finished the service. The cars really do seem to drive much better. Our customers have also commented on the difference that a service can have on their car. This brings me onto Wheel Refurbishment. Especially alloy wheel refurbishment. Alloy wheels are notorious for degrading. Not only on the outside, but, on the inside too. Most of the time when we remove a tyre from an alloy wheel the inside where the tyre sits will be highly corroded. tyre and wheel causing the tyre to loose pressure) we then apply a special cream, before re fitting the tyre. This has the effect of sealing the tyre onto the rim and enables the tyre to retain its pressure. If the wheel is really bad, then we suggest to the customer, that they should consider having a wheel refurbishment. Some customers are really proud of their cars and have a wheel refurbishment as a matter of fact, just to keep their cars in pristine condition. These are the types of customers who also buy our Poorboys car cleaning products and spend hours detailing their cars. Wheel refurbishment, will bring your cars wheel virtually back to new. The process includes totally stripping down all the old materials down to the original metal; this is the total wheel both the inside and the outside and starting the renewing process all over again. The wheels are resprayed with colour of the customer’s choice and then they are baked in an oven at high temperature. The final process is to apply a coating of lacquer, to give the alloy wheels a further coating for protection. Alloy wheel refurbishment is now getting more popular, mainly because that the price has come down, mainly because there are more companies that are opening up and the wheel refurbishment prices are coming down. ready for their first MOT Test. This particular Vauxhall Vectra was a little older than three years and looked in good condition. The owner was an old customer of ours and booked his car in on our online MOT booking system, www.mot-halifax.co.uk . but the guy said that the car was giving off a rattling sound when going over bumps and the noise was coming from the front. The car was presented for an MOT test, which was carried out by our service manager Ryan Linton. normal working week. The MOT went very well apart from a couple of expensive problems. The Vectra required a new tyre on the near side front, but worse of all it failed the emissions test and required a new catalytic converter. There was also a broken spring on the off side front of the car. This would account for the rattling noise that the customer said was coming from the front. The customer was not very happy, but he eventually came round and agreed for the work doing on his car. The new parts were ordered and were fitted by another one of my excellent staff Alex Bray. The Vectra had a new Apollo tyre fitted and the catalytic converter was fitted along with a new spring. The car was re-tested and the guy took is back to new car away, a happy man. vauxhall vectra showing the old unit before it was stripped down.